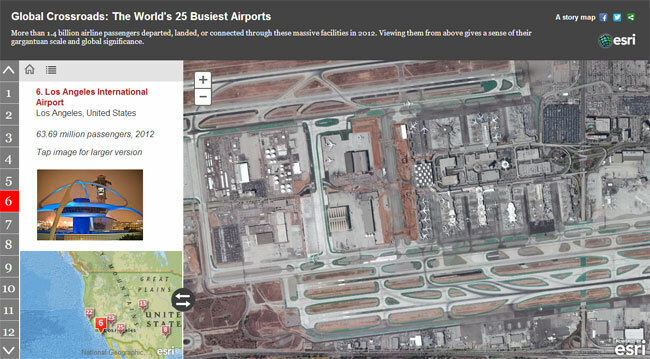 Most of us have experienced busy airports when traveling, and this latest story map examines the 25 busiest airports in the world. Which airport do you think is the busiest? This story map presents some surprising and interesting results. The story map is built using a just-released new storytelling “countdown” template, which you can download from ArcGIS Online or the storytelling with maps template gallery. What stories can you tell using the countdown story map? Let us know! View lots more stories at the storytelling with maps website.